Beware the Minimum Credit Card Payment Trap That Can Lead to Bankruptcy - John T Orcutt Bankruptcy Blog - How Credit Cards Can Trash Your Finances! If your budget is tight and you’ve got credit cards with balances, you may be tempted to cut corners each month and pay only the minimum payment. Not only should you think long and hard before pulling out the plastic to start with, but once you’ve got that debt in your life, you should take care, lest it overwhelm you and cause personal financial disaster. As with most financial issues, forethought is your friend. 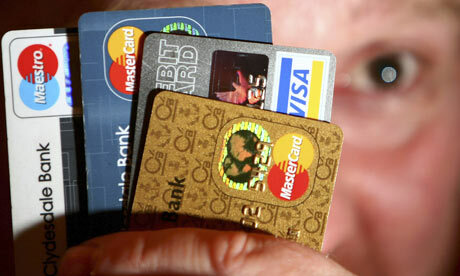 If you use your credit cards for non-essentials such as clothing, shoes and impulse buys, you are asking for trouble. If you can afford to pay your balances off in full each month and never carry any debt over, you’re okay. But if you buy and let interest accumulate, you should reassess your spending habits. That great pair of shoes that’s marked down from $100 to $50 can end up costing you far more if you carry the balance over and take your time paying it off. And if it’s necessities such as food or utilities that you’re charging to your cards because you’re too broke to pay cash, that’s a huge red flag. This pattern will see you maxed out within months and in deep trouble! If You Can’t Pay It Off, Don’t Ring It Up! If you can’t afford to pay your card balance off each month in full, you shouldn’t be using the card. Think of it as taking out a loan for every single purchase you make because that’s exactly what it is. And if your credit card interest rates are high (and many are), using your plastic can create an oppressive debt load. Credit cards should only be used when you must have a credit card – for instance for rental cars. Otherwise, paying with your debit card (or cash) is a better habit to get into. Some people are enticed to break out the plastic by the promise of rewards and incentive programs. Delta SkyMiles cards, Disney bonuses and CapitalOne Rewards are just a few of the many programs that are used to tempt you to swipe your card. But if the total dollar amount of the interest you pay is equal to or greater than the cash value of the incentives, you are being punished, not rewarded! Making minimum credit card payments and allowing interest to pile up makes the rewards plans a losing proposition. You may think your credit card debt is no big deal, but if you are maxed out or close to your card limits, your credit score can take a big hit. One of the variables in calculating your rating is the percent of revolving credit you have available. The greater the percentage of your available credit limits you are accessing, the lower your credit score will be. And making just minimum credit card payments will not reduce your balances - it will just keep you afloat from month to month! And it gets worse from there. A lower credit score will result in higher interest rates when you seek a mortgage or a mortgage refinance. You’ll pay more for auto and homeowner’s insurance if your credit rating is lower. And car loan interest rates can increase significantly if your credit score is not optimal. The higher the interest rates you are subjected to on other financing arrangements based on your credit card usage, the more money you will have to pay out of pocket and the greater your overall debt will be. The Downhill Slide Into Debt! If you’ve piled up credit card debt which has resulted in other debt increases and you then suffer a major and negative life event such as a job loss, pay cut, injury, illness or divorce, the results can be disastrous. Most of our bankruptcy clients have credit card debt as part of their filings. And while high balances aren’t typically the problem, how plastic debt fits into the overall debt load and how it can trigger other financial problems is critical to recognize. If you’re drowning in debt, can only afford minimum credit card payments and don’t know where to turn, call for a free consultation with North Carolina bankruptcy attorney John T Orcutt!